Mansi : Describe your favourite writing space. And what is it that moves you to write? Novoneel Sir : By space if you mean where exactly I like to sit and write then I don’t have any particular or favourite space as such. Though I must say I don’t like to write in an open or a well-lighted room. It should be closed and it should be dark when I’m writing. Mansi : Do you have a favourite part of 'A Thing Beyond Forever'? Is there one passage or section that is -- that means so much to you? Novoneel Sir : My most favourite part of ‘A Thing Beyond Forever’ would be the last scene and the discourse that takes place where Radhika is in the hospital and she personifies her supposed death as her lover Raen. In my opinion it simply sums up the intensity of the love Radhika felt for Raen all her life. And perhaps beyond. Mansi : Do you base your characters on real people? Why or why not? If not, how do you develop those characters? Novoneel Sir :Till now I haven’t really based any character of mine on real people. I personally love to explore people who have shadows within them. Though ‘A Thing Beyond Forever’ has this classic ‘true-love-story’ set up but with my subsequent books I have tried to explore the shadows that love often in creates people. I feel it’s easy to write about someone who is one-dimensional. For example a character who loves only one person till death. All one needs is one strong conflict in the story to counter it. But tougher is to develop a character who is aware of his or her options and is willing to choose accordingly and thus at every step create his or her own conflict all the time. The liberty of making such choices provides a fictional character with the hue of realism. Development of a character happens from the time I start visualizing them. Something (and it’s not usually the same thing) about a character should haunt me constantly. For example for the character of Pallavi in my second book ‘That Kiss In The Ran’ the thing that made me consider her was: can a girl who sleeps with every guy love someone in a divine manner even if the expression isn’t divine in the traditional sense of the word? For Nishani in my third book it was: can hatred be someone’s sole purpose to live? Subsequently, I keep asking myself what would a particular character eat, wear, say, work, his or her interest, dislikes, secrets and likewise. The more I do so, the more traits keep adding on to the character until the character turns into a being in my mind. It’s only then I gradually align the character to the plot and start to write. Mansi : Ever struggled with writer's block? What are the things that invigorate you when you feel stagnated? Novoneel Sir : Not as of now. I believe I haven’t written enough to encounter a block as yet. I feel a block happens when one becomes creatively myopic. That’s why one should always learn from everything around and within oneself. 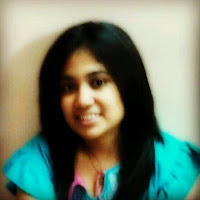 Mansi : How do you feel your writing style or priorities as a writer have changed after 4 years of your writing career? Novoneel Sir : I have never analyzed my writing style or work as such. I feel a writer is bound to grow with time. If that doesn't happen or one keeps writing what he or she wrote once then I personally think that person should stop writing and focus on some other things. One has to be creatively polygamous with his or her creations. 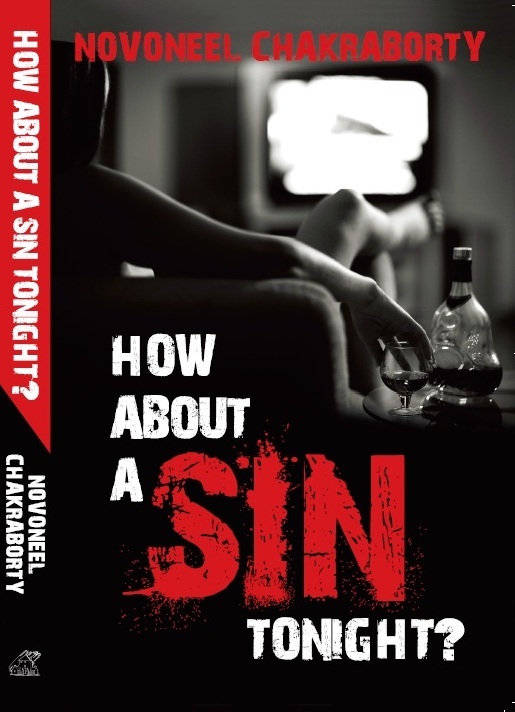 Mansi : Tell us something about your recent work 'How About a Sin Tonight?'. Novoneel Sir : ‘How About A Sin Tonight?’ allowed me to explore those corners which I didn’t or couldn’t with my previous two books. It’s my first character driven novel and I thoroughly enjoyed creating it. Even though the milieu is the Hindi Film Industry but the story essentially is about the five characters. The ending is experimental in nature and defies, in my opinion, the usual ending we have in popular genre novels. Mansi : What advice would you give to a new writer just starting out? Novoneel Sir : I would suggest them to read a lot. And not limit themselves to their own capsule of life. Storytellers, I believe, need not necessarily tell their personal stories all the time but say a story in a way that it reads personal to the readers. A bubbly yet emotional girl, who lives her life on her own terms. Love electronic gadgets, movies, music and chocolates. 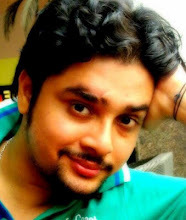 Troubling my head with programming as I am doing B.Tech in Information Technology from NIT, Raipur. I am amicable and I am truly in love with myself.